It's 2018, and the benefits of medical marijuana are beginning to be more and more accepted. But for some people, medical "marijuana" still has some stigma attached to it. So let's try something else: Cannabidiol. CBD for short. CBD is found in cannabis and hemp plants, and its medical benefits are becoming more and more popular. But what about for dogs, and mainly the smaller breeds? The truth is, many pet owners have labeled CBD as the new natural wonder supplement for dogs suffering from many types of ailments. Here I plan to give a quick overview of this compound and highlight some of the main benefits of CBD for small dogs. CBD is a compound found in cannabis and hemp plants. Many of the pet CBD products on the market today source their CBD from Industrial Hemp. Although CBD is found in cannabis, and we often associate cannabis with marijuana, CBD and marijuana are not the same things. This isn't "pot for pets," and it will not get your dog "high." CBD has no adverse psychoactive effects. It contains no THC, (tetrahydrocannabinol) which is associated with the "high" that recreational marijuana users are looking for. There's generally no THC in CBD pet products, and if there is, it's usually at low levels which will have no negative psychoactive effects on your pet. CBD also has no other type of harmful side effects. Think of all the potential side effects of pain medication for dogs. CBD has none of those. And dosage is not a concern either. What's great is that CBD is handled well in larger dosages. Many pet owners are worried about how much CBD to give their dogs, but because it's nontoxic, you don't need to worry about an overdose. All products come with general dosage guidelines and following these will not cause any harm to your dog. So now that our safety meeting is over let's find out why CBD is becoming so popular among pet owners by reviewing some common ailments in small dogs, and specifically how CBD may help. 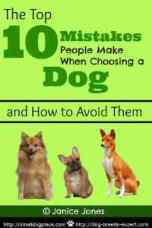 There are many lists out there covering the most common ailments for smaller breeds. Patellar luxation is a condition that commonly leads to arthritis and joint issues. In smaller dogs, it often occurs in the rear legs when the knees begin to have the joint problems. This is believed to be a genetic condition that is common in small dogs. It can also lead to arthritis in many breeds. Your dog's femur and hip joint are the trouble areas in this disease. Hip dysplasia is another common health concern for both small and large dogs. A malformation in the hip causes joint issues. There isn't a smooth connection in the hip joint area, and this leads to various problems. Small dogs like Beagles and Dachshunds whose backs are relatively long, may develop intervertebral disc disease (IVDD). This leads to back pain for your dog as the discs between vertebrae may shift or bulge. Epilepsy is present in all types of dogs, including some of the smaller breeds. This condition leads to seizures which most dogs will have for their entire lives. The severity of seizures will vary, and it's often treated with medication. The bad news is that your dog may experience some of these ailments. 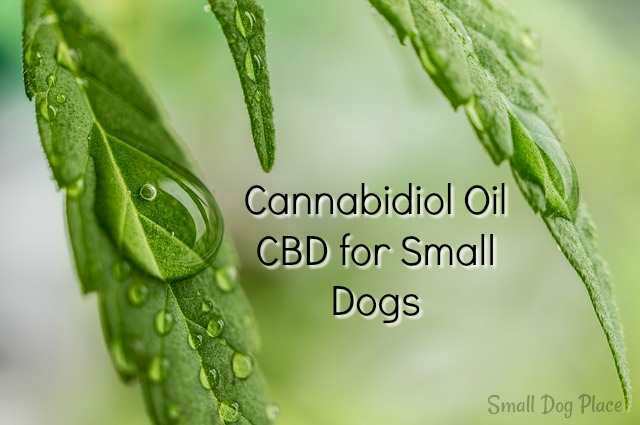 Pet owners all around the world who have smaller dogs that are suffering from these conditions, and other health concerns, have reported positive results from using CBD. Three of the main ways CBD is beneficial for dogs relates to the symptoms of these common ailments. CBD is indeed not a cure, but many pet owners have reported that their dog's conditions have significantly improved after supplementing with it. It's not uncommon to hear from pet owners who state that their dog has regained their mobility, is much calmer or is no longer having seizures after using CBD. The reason is that there are a lot of studies which conclude this property in CBD, as well as various conditions which can be helped by this. Pain is associated with many ailments among smaller dogs, and inflammation often makes these ailments worse. Small dog breeds are known to suffer from patellar luxation, hip and joint dysplasias, legg-perthes disease and so on. These all lead to pain for your pup, and inflammation does not help. Smaller dogs can also suffer from obesity, which makes it even worse. An obese dog with pain and inflammation in their joints is even less likely to exercise and get in better shape. These are some of the reasons why pain relief and the anti-inflammatory properties of CBD are the most significant benefits for small dogs. These benefits target the most amount of symptoms from various conditions. And as our safety discussion above concluded, these benefits come with none of the side effects that some other pain and inflammation medications may produce. One of the most popular success stories involving cannabis and humans was in regards to seizures. It's widely accepted that cannabis can help reduce seizures in certain individuals. But we're talking about dogs here, right? 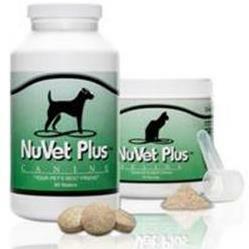 Well, dogs and humans sometimes react to various medications and supplements in similar ways. When a human has a seizure, and a dog has a seizure, some of the same "stuff" is happening. A nontechnical explanation for that “stuff” is that there is an uncontrolled amount of neurons being fired in the brain. This is when you need an anticonvulsant, and CBD is just that. CBD has been shown to have powerful anticonvulsant properties. It has been shown to eliminate seizures or reduce their severity and frequency by positively affecting receptors in your dog's brain. Some dogs have a tough time with separation anxiety. The Golden Retriever is pretty well known for having separation anxiety issues, but it can indeed happen in small breeds as well. Anxiety can also be caused by other things such as confronting new people, deafening noises, or perhaps driving in a car. Many small dogs suffer from anxiety and stress while in these scenarios. And sometimes it's not anxiety that small dogs suffer from. They can instead exhibit aggressive behaviors. I think we have all heard or seen a few Chihuahuas and Yorkies who are quite aggressive and need some help to calm down. Well CBD is believed to help reduce stress, aggression, and anxiety. There are countless reports from pet owners stating that they have noticed this in their pets. However, researchers can't pinpoint exactly how this occurs. Some researchers believe that CBD interacts positively with serotonin levels, and in turn, this reduces things like stress, fear, and anxiety in your dog. So although the research on this one is not black and white, if your dog has separation anxiety, or shows obsessive behaviours like licking and itching excessively, CBD should be considered, as it may help to reduce these things. Positive studies and testimonials on CBD are pretty easy to find. Firstly, if you head over to Facebook, there are quite a few Facebook Groups you can join which discuss CBD for pets. Many pet owners share their success stories online which you can review. You can also read through product reviews and testimonials on certain CBD product websites. Regarding studies, there are many documented cases which are aligned with the benefits outlined above. What's the Verdict on CBD for Small Dogs? We want to be careful in not over-hyping a supplement. That’s been done before many times. That being said, there seems to be a lot of positive literature on the benefits of CBD for small dogs, as well as real testimonials from pet owners. What's also nice to know is that it's a very safe and natural supplement, which does not cause any unwanted psychoactive side effects. The only concern would be to find a high-quality brand which has good reviews and has their products tested in labs for their purity. With a growing industry like this, there may be some low-quality products which reach the market. The final thought is that if your pet is currently not feeling their best, then using CBD might help. At the very least, it's worth looking into and consulting your vet about. Blake is a pet lover who has seen the benefits of CBD on his own dogs. This success has led him to began his own blog. His passion is to spread the word about the benefits of CBD, and he plans to continue his research efforts. His website is CannabisSupplementsForPets.com.